For GIR Just Anti-Corruption enquiries, please contact our editorial team based in Washington, DC. Tel: +1 202 831 4652. 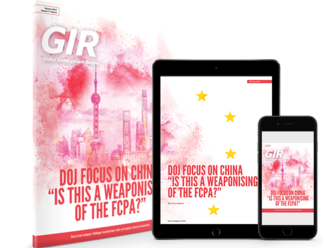 Visit our online store to subscribe to Global Investigations Review, or contact our Subscriptions Team Tel: +44 20 3780 4242. Tel: +44 20 3780 4115. Tel: +44 20 7908 1185. Global Investigations Review is published by Law Business Research. Other publications include Global Arbitration Review, Global Competition Review,Latin Lawyer, LACCA, the Getting The Deal Through series The Law Reviews and Who''s Who Legal.